Please note that start times have changed. We do not want to turn away anyone, but please remember that there is limited seating at the Chapel. Even with some additional chairs we are limited to about 100 people. 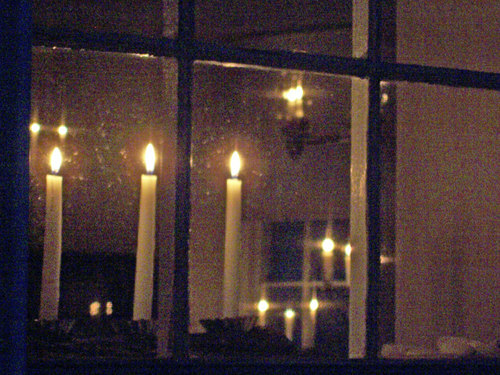 Christmas Eve services are usually very well attended and may start somewhat ahead of the listed times if the ushers determine that all seats are filled. We suggest that you arrive in advance of the scheduled starting time. We cannot guarentee seating. Our parking lot area is limited, so please consider carpooling. Parking direction will be provided. There are no handicapped parking spaces available; we suggest pickup/dropoff in front of the chapel. The parking lot is gravel and may be muddy in spots if the ground is not frozen. Cell phone service in the area is unreliable; not all carriers provide service in this area. Since we use candles and unvented propane heaters, anyone with respiratory difficulties should take appropriate precautions. There are steps and handrails at each entrance door. There are no indoor restroom facilities. There are two outhouses (Adam and Eve) to the rear of the property. If the ground is not frozen the area around the outhouses may be muddy. We use kerosene lanterns for outside lighting. While this is in keeping with the time when the chapel was built, they are not very bright. We suggest bringing a small flashlight. Please use common sense and good judgment when traveling to or from the Chapel in inclement weather. The roads near the Chapel are narrow and hilly. 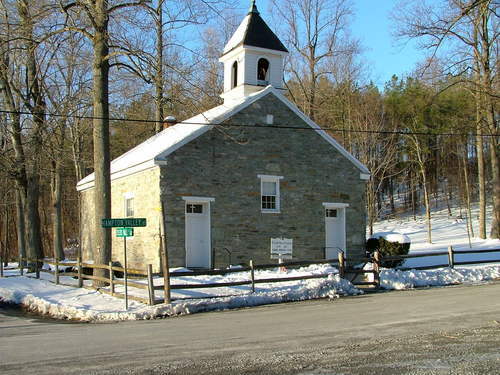 In the event of snowfall or icy conditions, if the Snow Emergency Plan for Frederick County, MD is activated or we know of local problems with the roads leading to the Chapel, we will cancel services. The secondary roads leading to the Chapel are not cleared or treated until the primary routes are completed. Cancellations will be placed on the Home page of this web site and our Facebook page as soon as possible. For unto us a Child is born, unto us a Son is given; and the government shall be upon his shoulder. And His name shall be called Wonderful, Counselor, Mignty God, Everlasting Father, Prince of Peace. "Do not be afraid, for behold, I bring you good tidings of great joy which will be to all people. For unto you this day is born in the city of David a Savior, who is Christ the Lord. 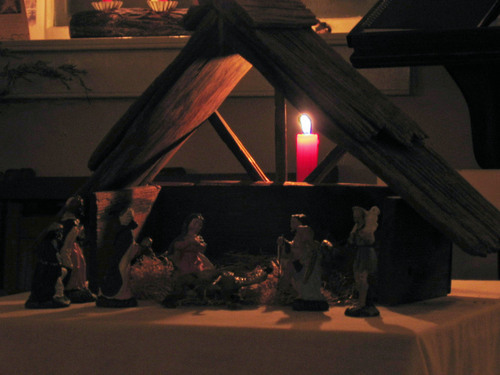 And this will be a sign unto you: You will find the Babe wrapped in swaddling cloths, lying in a manger."